Rachel is a fierce competitor who plays for the love of the game. Rounding out a talented and experienced Junior class, Stattler will put her skills to good use this season at midfield. "Stat" is poised to have a record year and anxiously awaits the Wolverines' scheduled tournaments this season. Rachel is a dominating defender who has fast feet, but also an incredible reach and great anticipation of attackers' moves, which helps her get many blocks and interceptions. Stat is also a solid attacker who shoots with pinpoint accuracy, freezing goalies with her smooth fakes and sneaky dodges and pulls. Stat is joined this year on the team by her younger sister, (little) Stat, and the girls will often be confused for one another. Stattler continues to mature as a player despite her long career in the sport. 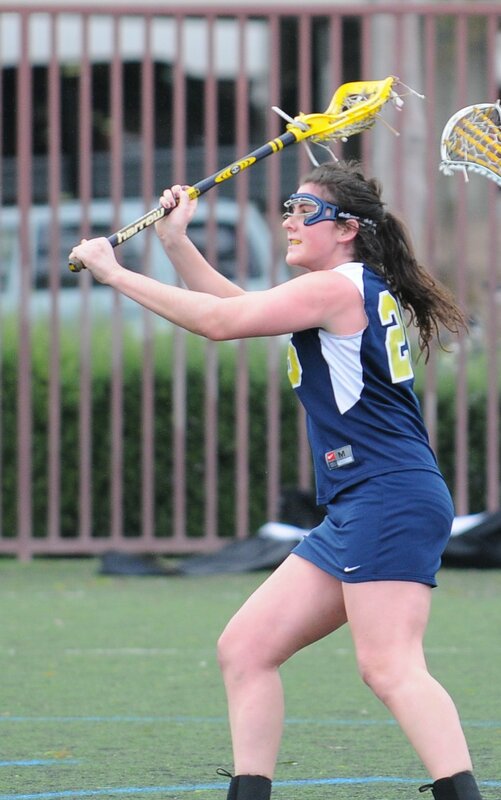 A great team player, she hopes to contribute to the Wolverines' run at the National Tournament. Her dedication to the sport is matched in the classroom where she studies Industrial and Operations Engineering. Rachel is also a proud member of Delta Delta Delta and the Society of Women Engineers. Participated in field hockey, volleyball and lacrosse. Won back to back Division II State Championships in lacrosse her first two years of high school.